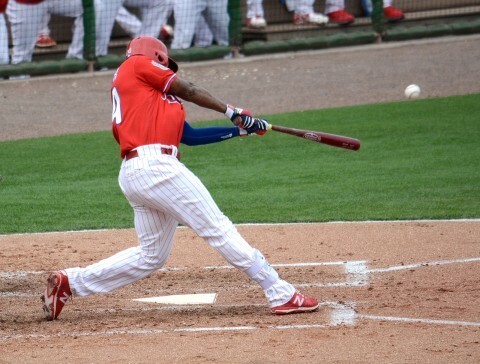 The Philadelphia Phillies and Pittsburgh Pirates engaged in a slugfest Friday at Bright House Field in Clearwater, with the teams combining for 27 runs, 27 hits and seven homers on the day. The game started out looking like it might be a cakewalk for the visiting Pirates, but an offensive onslaught by the Phillies quickly turned the game in the home team’s favor. A stiff breeze blowing out to center field made for plenty of offensive fireworks, and when the dust had settled, the Phils had prevailed by a score of 15-12 – thus raising their spring record to 12-5-2. Pittsburgh found their groove early against Phillies’ starting pitcher Charlie Morton: former Tampa Bay Ray Matt Joyce contributed a homer, a double and two RBIs in the early going, while light-hitting second baseman Pedro Florimon smacked a two-run homer in the second inning. The Phillies exploded in the fourth inning, though, teeing off on relievers Wilfredo Boscan and Guido Knudson for nine runs and ten hits. Third baseman Maikel Franco capped the huge Philadelphia rally with his seventh home run of the spring – a three-run shot that just cleared the fence in left field. The Phils kept the hit parade rolling in the fifth, putting up a six-spot to stretch their lead to 10 runs. First baseman Ryan Howard provided the big blow with a grand-slam homer – a titanic blast to dead center field. Pittsburgh mounted a rally of its own in the game’s latter stages, scoring seven runs over the final three innings, but the Phillies’ bullpen held on to seal the deal. 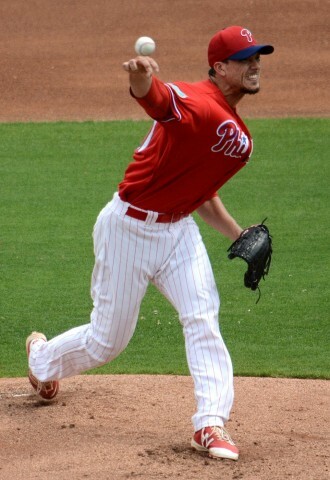 Philadelphia starter and winning pitcher Charlie Morton struggled through a rather tough outing, allowing five earned runs, four hits and three walks in his four innings of work. Morton threw 78 pitches, with only 44 of those tosses finding the strike zone. There were plenty of offensive stars on this day for the Phillies, but Howard’s tape-measure grand slam, three hits and five RBIs earned him the nod as the day’s top performer. Catcher Cameron Rupp contributed three hits, including his third homer of the spring. 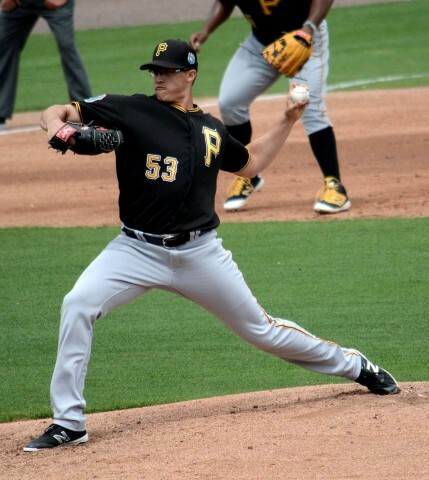 Starting pitcher Kyle Lobstein logged an efficient and effective three innings of work for Pittsburgh, allowing just one hit and striking out two batters. Lobstein found the strike zone with 24 of his 35 pitches. First baseman Jose Osuna had two hits, including a homer, and four RBIs to join Joyce as the Pirates’ offensive stars. 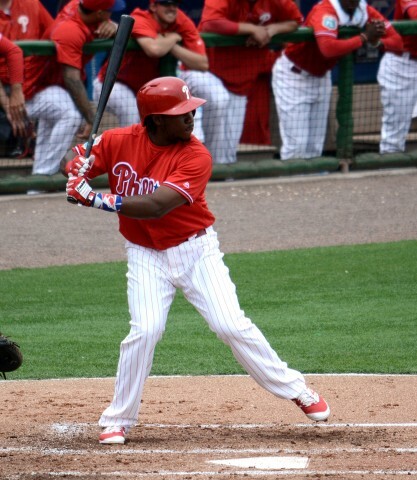 The Phillies travel to Dunedin for a date with the Toronto Blue Jays Saturday, and then return home to host the Houston Astros Sunday, March 20 at Bright House Field.